A crash at the intersection of Highway 7/8 and Nafziger Road has caused a partial road closure. Regional police responded to the crash around 2:30 p.m. on Wednesday. Two vehicles appeared to have collided head-on. Both sustained significant damage to their front ends. Both drivers involved were taken to hospital in Kitchener. Emergency crews were on scene and police are investigating. 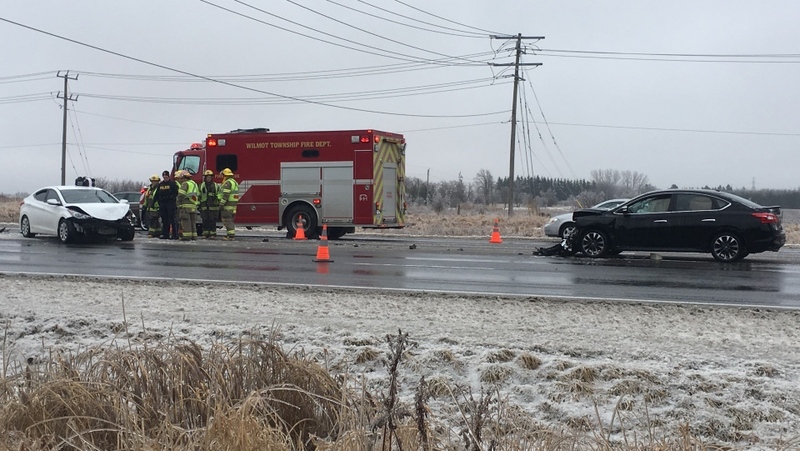 Regional police say that 18 crashes happened as of Wednesday afternoon. Cambridge OPP reported that 20 crashes had happened on local highways as of the same time.